A 19-year member of the New England Conservatory Preparatory School faculty, flutist Jacqueline DeVoe is an active freelancer in the New England area and performs regularly with Cantata Singers, Emmanuel Music, the Rhode Island Philharmonic, Masterworks Chorale, Boston Ballet and other ensembles. In addition to her degrees in Boston at New England Conservatory, she was a two-time recipient of the Frank Huntington Beebe Fund grant and the Austrian Government’s Stipend for Foreigners, and completed a diploma at the Hochschule für Musik in Vienna, Austria. Her primary teachers were Claude Monteux, John Heiss and Wolfgang Schulz. A Tanglewood Fellow, Ms. DeVoe is the former principal flutist of the Mexico City Philharmonic, has performed with the Vienna Chamber Orchestra and has been presented in solo and chamber music concerts in Europe, Mexico and the US. A strong advocate of music education in public schools, Ms. DeVoe plays with the North Winds Quintet, which has presented educational concerts in schools throughout Massachusetts under the auspices of Young Audiences. Ms. DeVoe has created and directed chamber music concerts for the Newport Symposium and has been an Artist Teacher for NPR’s “From the Top” which brings gifted young artists into Massachusetts public schools. Ms. DeVoe is also the president of the James Pappoutsakis Memorial Fund, which hosts a flute competition for Boston-area flutists in memory of BSO flutist and teacher, James Pappoutsakis. 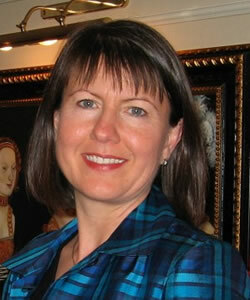 Ms. DeVoe has had a parallel career in tourism, directing groups on international educational tours since 1992. For 7 years, spent 5 months of each year as the Excursion Manager on the MV Katharina von Bora, a river cruise ship of the Peter Deilmann Company which sails the waters of the Elbe River between Prague and Berlin.